Where do you start? Where do you end? How do you recapture cinematic magic, the captivating power and charisma of one man, who manages to transcend the rational faculties in all of us? How do you re-create this attraction of soul and heart? No matter what, no review is ever going to do justice to Sivaji –The Boss as no writer can summon the ability to bring in words the impossible swathe that Rajnikanth’s appeal cuts across various strata of the society. Rajnikanth on screen makes a bonding with your heart. It is about emotions, that maybe blind, but all real and very human. In Sivaji-The Boss, this surreal feeling gets a further magical touch in the form of techno-wizardry that Shankar has patented to be his in Tamil cinema. When state-of-the-heart and state-of-the-art find a match, what you get is three hours of sustained entertainment that is at once a compelling phantasmagoria of trademark Rajni fun and typical Shankar grandeur. It is a case of desire meeting dream, and almost making it plausible. The success of Sivaji-The Boss will eventually lie in the fact that both Rajni and Shnakar, with a huge individual constituencies of their own, have not had to break their preserved moulds. Where Rajni and Shankar meet is in their social sensibilities, in their populist propensity to convey, what the industry calls as ‘the message’..
Sivaji, in that sense, is a contemporary commentary on the state of the nation where as a dialogue in the film aptly sums it up as ‘the poor get poorer and the rich get richer’. Sivaji has many strands, each unique in its heft and heave. Affordable education and health for all is one theme. Rooting out black money is the main one, however. Woven into this large tapestry is the bureaucratic bunglings, red-tapism and other issues that bug our quotidian life. Sivaji is an everyday story that gets the sheen of a moral fable as well as the shine of fairytale, as Shankar stretches his imagination even as he compels you to stretch your threshold of incredulity. Sivaji (Rajnikanth) is a rich NRI software pro. Son of caring parents (Manivannan and Vadivukkarasi), and the nephew of an ever helpful uncle (Vivek), Sivaji comes to India with the larger than life dream of running universities and hospital for the benefit of the poor. (The idea is smartly done when he talks of every riches coming to India, but beggary not going away). Sivaji has to however contend with Adi Kesavan (Suman), a slimy crocodile of a educationist and a hospital owner. He has vested interests in not allowing Sivaji to get on with his ambitious projects. Sivaji, however, has his heart set. Despite running into a non-cooperating administration (the red-tapism prevalent is exposed in an irony-filled humour), Sivaji soldiers on. He unwillingly greases the palm of venal babus and politicos to get sundry permission required to build the infrastructure. But Adi consistently turns out to be the spanner in the works and even goes to the extent of unseating the government to stop Sivaji in his tracks. In the meanwhile, Sivaji falls in love with a midlleclass Tamilazharasi (Shriya), who is the daughter of uncompromising parents (Raja and Uma Padmanabhan). Sivaji, with the aid of his uncle, goes out of the way to court the girl and her family. The scenes involving the two families are such a lark that they bring the theatre down in laughter. (Watch out for that riotous Deepavali scene when the families have some rollicking fun). Tamilazharasi, despite the fear engendered after a fortuneteller predicts calamity for Sivaji if she marries him, finally agrees to be his life partner (the scene at the railway tracks where she accepts as him as his lover is both romantic as well as very humorous). His light-hearted attempts to look fair are also very funny. But on the business front, the evil administration and wily Adi ensure that Sivaji loses all his wealth and all his dreams lie shattered as a dust heap. Sivaji has nothing left in life, and in a heady taunt Adi tosses an one rupee coin, in an effort to say that Sivaji is now a beggar. Sivaji is now a transformed lion, he vows to use the same one rupee coin as the ‘investment’ to take not just Adi, but all the money sharks. Rooting out black money is his broad and dramatic theme. Along with his uncle, Sivaji plays smart, but under the law tricks, to shatter the wits of the villainous group. The way Sivaji goes about is very gritty and provides the film with the right lift. The way he brings in all the black money, which he prises out of the evil hands, ingenious and inventive (it is through the hawala route). Sivaji manages to build his dream projects with lot of arm twisting and sweet villainy. But Adi and the other baddies hit back, they plot and get Tamiazharis herself to reveal all the details of Sivaji’s modus operandi. They even kill him when in the custody of the police. But they cannot getthe details out of his personal laptop (it has all the minutiaes of his transactions) as it is voice-recognition password protected. Sivaji is however dead and the laptop would not budge for any other voice command (this is a smart usage of modern techno gizmo to carry on the narrative). How can the hero die without finishing off the baddies? Well, there is an interesting twist in the tail. Watch it for the exhilaration and the sheer stylish audacity of it all. Rajnikanth, looking very young and urbane, as Sivaji has amazing screen presence, proving once again that his hold over the masses has not waned even one bit. Be it his helpless anger at a system that is forever unobliging or his mirthful fun in romance or his chutzpah-filled approach to bring to heel the evil forces or his brio in the fighting sequences, Rajni has really put in a hard performance that matches his reputation. His kind of humour is so infectious that in the breezy first half, he and Vivek have the fans dancing in the aisles. The ‘punch dialogues’ though not all uttered by Rajni directly will make his fans happy. Shriya, looking amazingly lissome with a body that is both bow and an arrow, is beauty personified. She is pleasant on the eyes and plays her pivotal role without any complication. Manivannan, Vadivukarasi, Raja and Uma Padmanabhan all have turned out impressive performances as the parents of the two. Suman, in a larger than life villain role, is an inspired choice. His dark coolers-covered face convey the subtle evilness dramatically. He has understood the script and shaped his character to a nicety. Livinsgstone, VMC Hanifa, Ravikumar, Solomon Pappaiya, Bose Venkat are also in the cast. What of the songs? Well they have been picturised, squeezing in all the creative imagination of Shankar. The graphics work in the Athiradi song is as good as in any Hollywood flick. Rahman’s techno rhythms come out brilliantly upbeat on screen. The Sahana song, set in a classy glassy framework, is another testimony to Thota Tharani’s inspired work and Shankar’s penchant for such aesthetic ideas. All of Rahman’s songs get the right ambient backdrop to look like a piece of inspired dream. Shankar’s inspirational visual ideas provide that. The re-recording, slightly loud at times, however, matches mood and menace. K V Anand’s camera is first rate all through and covers the screen with amazing feel and richness. The stunts have been captured, making all the action come so close to reality. The lighting is consistent and clear that you feel as if having a real peek into the scheme of things. The climax fight, with all the attendant graphics, is full of gritty energy. Peter Heynes fights, though over the top in places, matches the needs of modern films. Starting with the fight at the music shop till the one on the terrace of the college, Peter and his boys have literally shed blood to make it all come alive on screen. Sujatha’s dialogues, very seamless and natural, captures the angst of living in India now. The flavour is richly conveyed in everyday idioms without any apparent effort. And that leaves us with Shankar. It takes extreme courage and conviction to dream of and bring to life what he has. Shankar, who has set high standards for himself from his very first film, with dramatic fights, colourful songs, inspirational sets, has surpassed himself in Sivaji. Matching the stature of of Rajni and the production house AVM, Shankar has unveiled an urban fantasy that is at one rich in specifics as well as real in intent. The big idea of rooting out all the black money, though seemingly tall, gets the right touches from the filmmaker who knows how to make the mix of technology and human aspirations work on screen. Rajni and the production house AVM, Shankar has unveiled an urban fantasy that is at one rich in specifics as well as real in intent. The big idea of rooting out all the black money, though seemingly tall, gets the right touches from the filmmaker who knows how to make the mix of technology and human aspirations work on screen. Shankar keeps the tempo and the traction going all through with an adroit mix of comedy, action and issues. This is his patented style. And then there is the well-established style of Rajni. 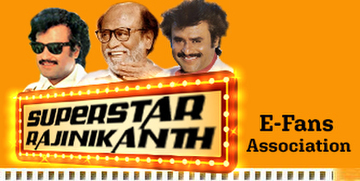 Shankar’s humanism in larger than life canvas and Rajni’s mass-oriented fun and feeling seem nature-born allies. The two have synchronised beautifully in Sivaji, which, to describe in the trendy and the omnibus description (which Rajni uses ever so often on screen in this film), is cool.